When Nvidia launched the RTX GPU family almost two months ago, it immediately kicked off a fight in the enthusiast community over whether or not the RTX 2080 and 2080 Ti were appropriate replacements for the GTX 1070, 1080, and 1080 Ti. Our own argument has been that these cards are not worth the substantially increased investment Nvidia demands you pay for them, at least not right now. 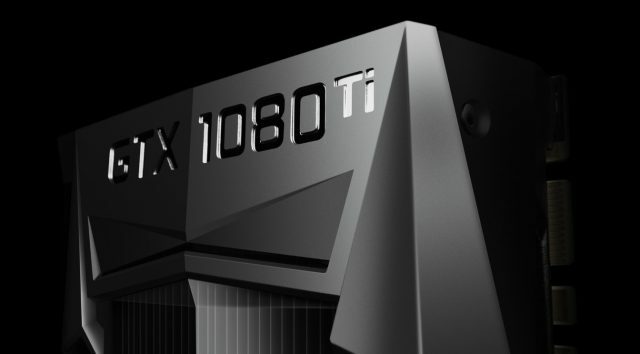 A major part of the justification for the RTX GPUs price increases was the new ray tracing and antialiasing features baked into these cards, but neither capability is currently available in shipping titles. The GTX 1060, 1070, and 1080 are all expected to remain in-market for the foreseeable future, but stocks of the GTX 1080 Ti are falling quickly. According to an investigation by GamersNexus, production on the 1080 Ti stopped earlier this month. From Nvidia’s perspective, this makes perfect sense. The company isn’t interested in selling last-generation GPUs that conflict with its own current products — it wants you to step up to the RTX 2080. With that said, there’s actually not much difference between the two. The current RTX 2080 is selling for $ 769 on Newegg, while the GTX 1080 Ti has risen to $ 759. As such, there’s really not much argument to make in favor of the 1080 Ti in the first place. The RTX 2080 is slightly faster than the 1080 Ti in virtually every title. Separately from this, GamersNexus reports that hardware manufacturers are attempting to pull in GPU stocks into US warehouses before tariffs start kicking in come January, to buffer the impact of higher prices. If the Trump Administration’s trade war with China continues to escalate, we could see 25 percent tariffs slapped on GPUs by the beginning of January. If you’re intending a purchase, in other words, it’s a good idea to buy before the end of the year. Unfortunately, it looks as though Nvidia will continue to compete mostly with itself at the top of the market, at least for the foreseeable future. Gamers who hoped that AMD would be launching some kind of killer Vega GPU to take on Turing should retire those expectations. Based on what the company communicated at its New Horizons event this week, there’s not going to be a consumer Vega GPU on 7nm. Nor is it clear that there should be. While 7nm yielded definite performance improvements, a 7nm Vega is only supposed to be 25 percent faster than the base GPU (with no details on how that performance was tested, making it impossible to know how much of it would translate into gaming). It’s not that Vega 64 couldn’t use a 25 percent performance increase, but that the cost of bringing the chip to consumers has to be balanced against whatever allocation of fab space AMD has managed to secure. If it built Vega 7nm for a handful of specific customers, it may have already planned to allocate 100 percent of its 7nm GPU production to machine learning and AI markets, where margins are much higher. AMD’s RX 590 is widely expected to drop in the next few weeks, but past that, Team Red gamers will have to wait for Navi to see if it offers better challenge to NV in these markets.